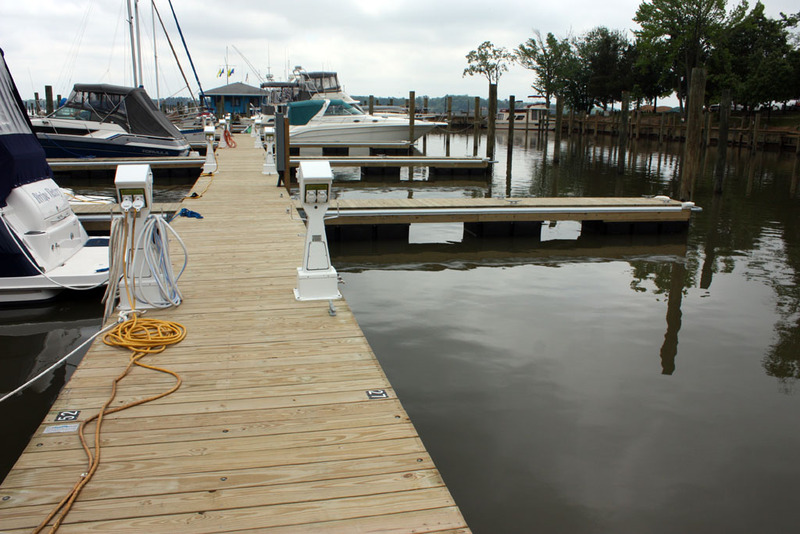 Two Rivers Yacht Basin offers boat slip rentals on fixed and floating docks for boats up to 43 feet in length. 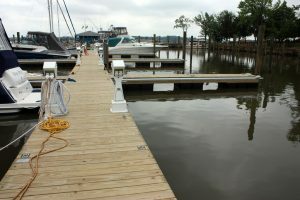 The marina has 150 wet boat slips available. Boat slip rentals include 30 AMP electric service and water. 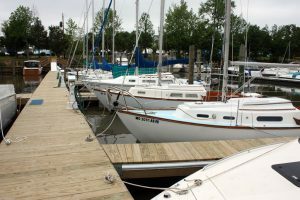 Sailboat moorings are available along with dingy storage. We would love to show you around the marina. Call and schedule a time to stop by and see what we have to offer. The marina is located on the north shore of the Bohemia River near the Elk River. By car we are a short drive from Chesapeake City, Maryland out on Town Point Road. Amenities included with your slip rental are access to our pool, beach area, picnic areas, and bathrooms with showers. The marina also has free WiFi high speed internet access available to our customers. Our boat yard is equipped to handle all types of boats. 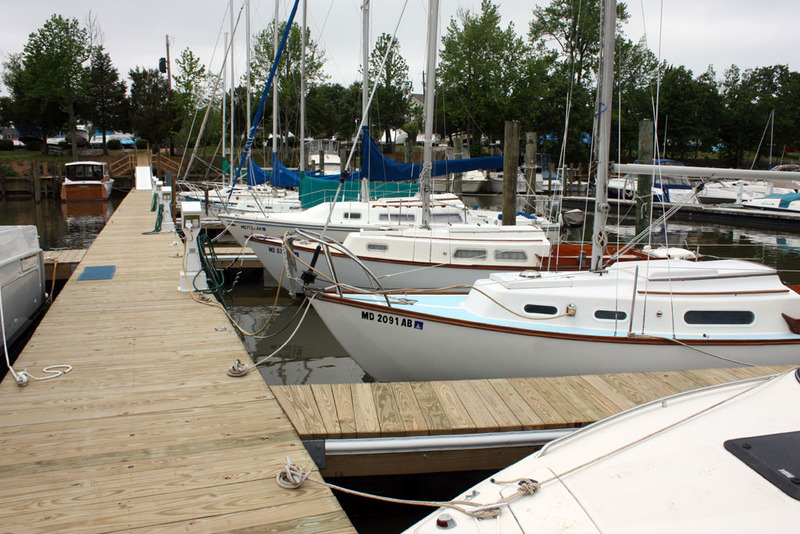 We offer boat dry storage, repair services, bottom painting, winterization services, and much more. Boats are launched and hauled by our 25 ton travel lift which is available to survey hulls and service repairs. Winter storage in the boat yard includes round trip boat handling, blocking, and storage. We offer shrink wrapping services and have a large shed for covered storage. We operate a fuel dock during the boating season that pumps 89 octane gas and has a waste or holding tank pump out service. The gas dock office has a selection of marine supplies, ice, drinks, snacks, and ice cream. Two Rivers is a family owned and operated business. We have an on site manager available to answer all your questions about slip rentals. Give us a call about pricing and availability.